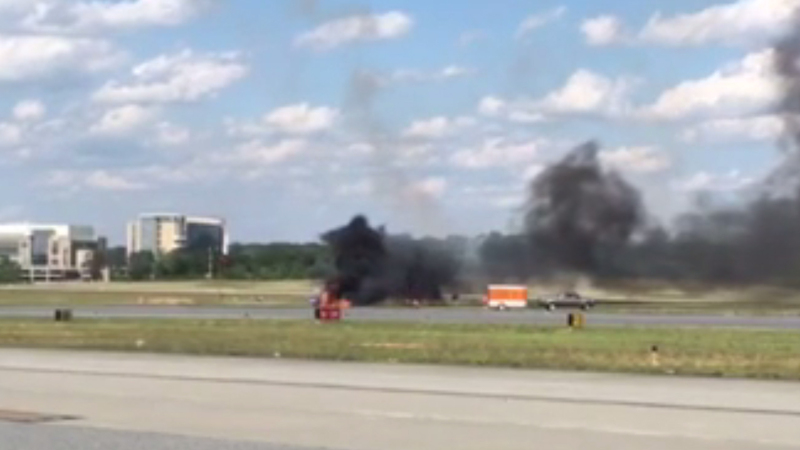 ATLANTA, GA -- A pilot was killed Saturday when his biplane crashed while performing a stunt at a metro Atlanta airshow. The pilot was the only one aboard the plane when it crashed at 4:49 p.m., DeKalb County spokesman Burke Brennan said in an emailed statement. It was the first accident in 30 years of the PDK Good Neighbor Day Airshow, Brennan said. Campbell said the pilot will not be identified until his next of kin are notified. Campbell also said there were no other injuries on the ground and there was no other damage other than the aircraft. She said the National Transportation Safety Board and Federal Aviation Administration were both on the scene and investigating. In a news release, DeKalb County Interim CEO Lee May said, "A tragedy occurred as professional pilots entertained and educated thousands today. Our thoughts and prayers are with the family and friends of the pilot who lost his life."